Breathing is hands down the most important thing we do, bar nothing! We get 90% of our energy from it, and unlike eating or drinking, we can only survive a matter of minutes without it. We depend on the breath for everything – to think, speak, move, feel, for our heart to beat, food to digest…every single cellular activity! Now despite breathing happening naturally, our 21st century stress levels have managed to massively upset the quality of how we breathe. Instead of taking full, deep nourishing and massaging belly breaths, we take short sips of breath from our chests that leave our whole systems malnourished and wired – not only starved of oxygen but also our natural right to feel safe, grounded and calm. Compromised breathing patterns not only reflect stressful external issues such as a busy, noisy, scary or pressured environment but, also reflect how well we are coping with that environment internally. Our breath controls and sets the tone for the nervous system and determines the rate at which we manage or recover from situations which cause us stress, therefore it is of utmost importance that we learn how to breathe well! Practising conscious breathing exercises for only a few minutes a day will help ease physical, mental and emotional health issues. Not surprisingly, there is a huge amount of research touting the benefits of breathing exercises for issues such as asthma, anxiety, depression, high blood pressure, muscle tension and IBS (just naming a few!). And equally rewarding is how this practise helps you tune into your ‘true self’ – the self that if we learn to listen to will help us make good decisions that will see us evolve and honor our potential. Breathe in for 4 counts. Pause for 1 count. Breathe out for 4 counts. Breathe in for 4 counts. Pause for 7 counts. Breathe out for 8 counts. – breathe in through your nose (not your mouth) to stimulate the little nerve endings that send a message off to the body that you are in a calm safe environment and adjusts your boichemistry accordingly (parasympathetic nervous system). – the first two thirds of the breath fills low into the belly and lower back, the last third slowly makes its way wide into the ribs and up into the chest – keeping the shoulders soft and heavy throughout. 2) Have a glass of water beside you in case the new level of oxygen and deep muscular relaxation makes you feel dizzy or panicky – this is nothing to be concerned with and will ease with practise. 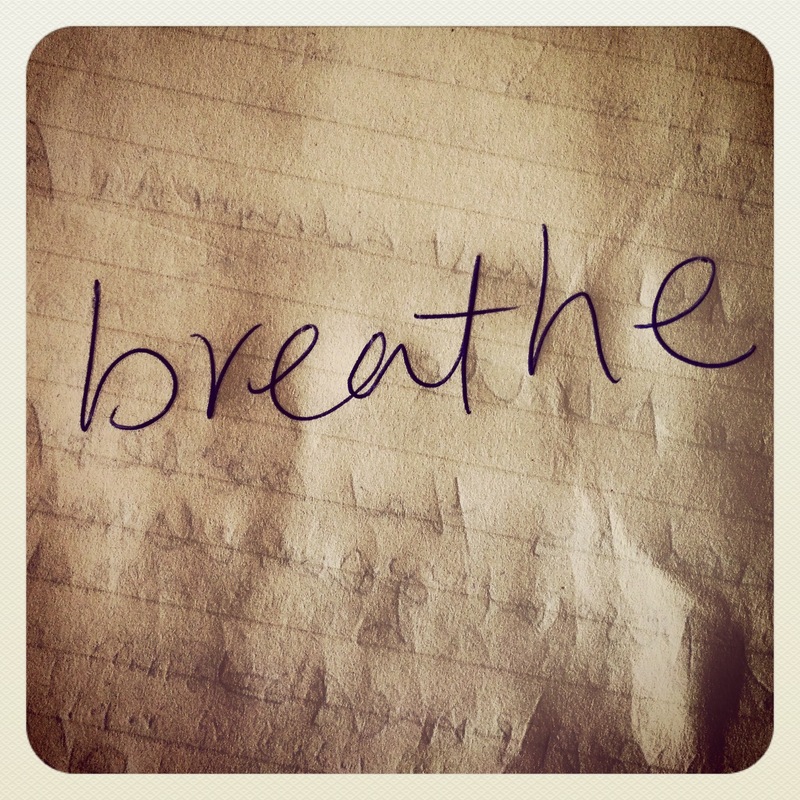 3) Start slowly with calm gentle breaths not pushing yourself to take too fuller breaths. Stop and guage how you feel after each rep. Shallow breathing not only closes you off emotionally, it also hinders your ability to respond appropriately to situations. Often people who struggle to breathe fully and deeply also struggle with connecting to their true sense of self. Whether it is a learnt breath pattern that people take on to help deal with an unhappy situation or whether it is a pattern in response to a threat or trauma, the breath is denying true honest communication with the self. Thus, simple calm focussed breath work can help to release many stored emotions that could be holding you back. While this may feel scary at first, it is absolutely the best thing you can do and you will soon start to feel stronger, more connected, happier and more trusting of yourself and your decisions.